Help make sure the UK's most iconic street is pedestrianised. Ambitious plans for the transformation of the Oxford Street area have been released by London Mayor Sadiq Khan and Westminster City Council – and they need your support. 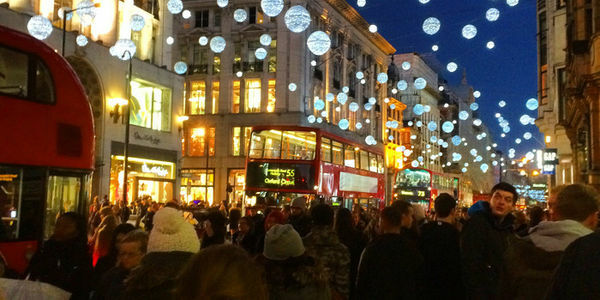 The proposal is for the complete removal of motor-traffic from Oxford Street. With your support, we believe these proposals will: save lives lost through road collisions; dramatically reduce future exposure to toxic air for those living, working and visiting the area; and create a new world-class public space in the heart of London. But without your support, it won't happen. Strong opposition to the transformation remains, so we need to make sure as many people as possible take part in the consultation and say YES to a vehicle-free Oxford Street. Please back the Living Streets campaign and the Mayor's proposals by responding to his consultation now to say YES to a vehicle-free Oxford Street. We only have until 17 December to make our voice heard. Signing this means you are sending an email directly to Transport for London. I am writing to respond to the above consultation. Q1. Do you support our proposals for the transformation of the Oxford Street district? I support the plans for the complete removal of motor traffic from Oxford Street, 24 hours a day, and believe this is essential for the success of the scheme. I support proposals for pedestrian improvements across the wider Oxford Street area including new crossings, better seating and an improved public realm. I am pleased that the consultation commits to consult on proposals for a high-quality east-west cycle route to the north of Oxford Street and ask that this be brought forward in tandem with the transformation of Oxford Street. Q2. We have explained that we will develop proposals for the section of Oxford Street between Oxford Circus and Tottenham Court Road. If you believe there are any other issues we should take into account in developing proposals for the eastern section of Oxford Street, or have any other comments about this issue, please record them below.